We are bringing the FUN to Spring Break! 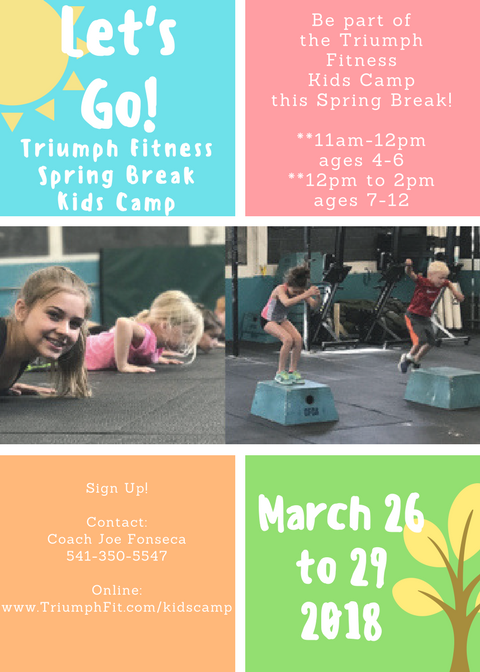 Triumph Fitness' Spring Break Camp is designed to get kids excited about fitness and inspire them to pursue it every day! These FUN classes lay the foundation for our children to embark on a lifelong journey of peak physical wellness. Our dream is to foster a generation of healthy, fit individuals who live life to the fullest and enjoy freedom of movement and activity throughout their entire lives. Our camp is broken up into two separate sessions based on age. 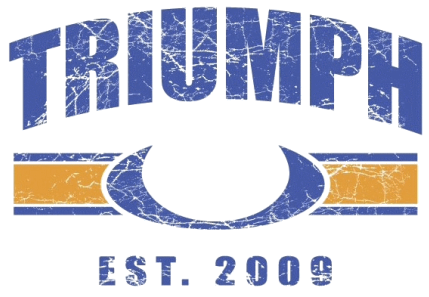 Ages 4-6 camp will run from 11am-12pm & ages 7-12 camp will run from 12pm to 2pm. Our camp launches on Monday, March 26th and concludes on Thursday, March 29th. or $250 for two same household ages 7-12 registrations.